As I write this, it is over a week since a man in a Las Vegas hotel room used assault rifles to shoot 489 people at a music festival, killing fifty-eight, and people are still asking why. The shooter appears to have acted entirely alone and had neither a history of mental illness nor connection to a radical cause. The victims were at a country music festival, and they appear to have been targeted simply because they were gathered together in a large crowd. According to the New York Times, the lack of an obvious motive has “put enormous pressure on federal and local investigators to find answers.” This case of mass shooting is somewhat different from the many others we have witnessed in recent decades, but I believe the explanation is there in front of us. We just don’t want to accept it. The shooting appears to have been approached with the same determination as an effort to summit Mount Everest or break the land speed record. The shooter assembled the equipment necessary over a period of several months and designed the event to kill and injure as many people as possible. 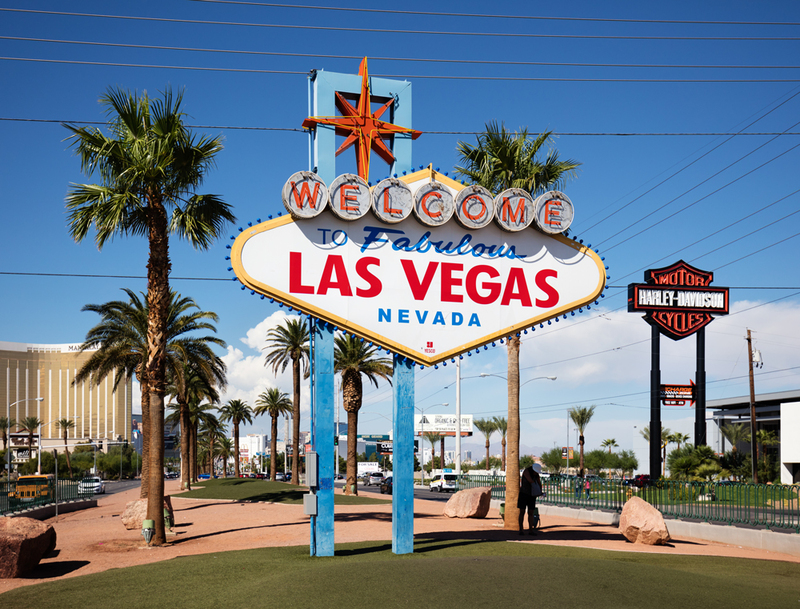 The New York Times reports that he may have evaluated other outdoor concert venues and sporting events before settling on the Route 91 Harvest country music festival in Las Vegas, which suggests the motive had no connection to gambling or the city of Las Vegas in particular. Although the shooter took his own life, the only note left behind in his hotel room contained numbers that appear to have been calculations of the trajectory from the hotel to the music festival below. The attack was only ten minutes long, but it took a substantial amount of planning and preparation. More interesting than the shooter’s motive is our need to find a motive for him. If the perpetrator of these horrible incidents can be labeled mentally ill or terrorist or, as Vice President Pence chose to call the Las Vegas shooter, “pure evil,” then the many other variables that facilitated the event all but disappear. Once a label is given, we can turn our attention to fixing the perpetrator’s label. There are familiar calls for better mental health screening and more effective identification of terrorists. The “pure evil” explanation is somewhat daunting because it doesn’t point to an obvious call to action—except, perhaps, for the most reliable one of all: #PrayForVegas. Thoughts and prayers have not stopped this parade of slaughter, but they are the most universally accepted responses to any national disaster. Far from being an impulsive act, this was an elaborately planned and determined effort to do as much damage as possible. Lacking other explanations, we should consider another variable that has not received much attention. Like all of us, the perpetrator lived through many recent mass shootings, and he must have been familiar with the way they are covered in the media. He must have known he had a good chance of being killed in the episode, but he could be certain of one thing. If successful, he would be famous, and the massacre he created would go down in history. The day after the Las Vegas Route 91 festival shooting, one hundred and forty-seven scholars, professors, and law enforcement professionals signed an open letter to members of the media mentioned in Steven Pinker’s tweet below. 2. Don’t use photos or likenesses of the perpetrator. 3. Stop using the names, photos, or likenesses of past perpetrators. 4. Report everything else about these crimes in as much detail as desired. Notably, the signers acknowledged that they did not always agree about how to respond to violent attacks, “However, all of us agree that it is important to stop giving fame-seeking mass shooters the personal attention they want” (emphasis in the original). On occasion members of the media have tried to follow some of these guidelines, several of which have been advocated in the past. On the Friday night after the Las Vegas shooting, Anderson Cooper of CNN hosted an hour-long broadcast focused entirely on the victims, and he began the show by stating very clearly that he would not be naming or showing images of the perpetrator. The focus would be on the victims entirely. But elsewhere on his and other networks, hours of programming was devoted to understanding the mystery man who had orchestrated this event, and both the shooter’s name and image were used. The recommendations of the open letter are very good, but in my view, they don’t go far enough. The minute you call the event the “largest mass shooting in modern American history” you have given the perpetrator a huge reward, and this description has been used continuously since the day after the event. Even Anderson Cooper repeated this phrase in his show devoted to the victims. The Las Vegas shooter did not live long enough to hear those words spoken on television, but he undoubtedly died believing he had broken a record. Furthermore, the next competitor in this horrible contest, whoever he may be, now knows the bar he must surpass to push the total higher. In an ideal world, I would limit all coverage of the shooter and the methods used to accomplish the act—particularly on television because in our modern world being on television remains the clearest measure of fame. Soon after the episode is over—even if, as in this case, there are unanswered questions—any additional coverage should be limited to the victims and those who responded to the emergency. As more information related to the perpetrator and methods become available, perhaps this could be disseminated in print media only. Although these changes are unlikely to happen, it should be noted that, in the interest of deterring future crimes, the media in both Canada and Finland have adopted policies that prevent revealing the identities of some or all mass shooters. In the standard formula of mass shooting coverage, the media gives considerable time to the usual host of proposed solutions: gun control legislation, mental health policy, and anti-terrorism measures. But for obvious reasons, the role of the media is rarely discussed. Wall-to-wall coverage of big news events is a ratings bonanza—it is, in fact, cable news’ reason for being—and as a result, the networks have a substantial conflict of interest. We see countless interviews with pundits speculating about why the killer did it, but the elephant in the living room is the media’s role. The very people who are showing us hours of programming aimed at figuring out the Las Vegas shooter are, in part, the answer to their own questions. It is also noteworthy that, despite being signed by many prominent crime and law enforcement professionals, so far the open letter has not received any coverage in the media. In reaction to the Las Vegas shooting, conservative commentator Bill O’Reilly said that the massacre was “the price of freedom,” and without question he is right. O’Reilly was referring to the freedom to own and use firearms, including semi-automatic assault rifles, but we also pay a price for freedom of speech and freedom of the press. In the case of mass shootings, that price is measured in lost lives. The evidence suggests that fame-oriented shooters kill in larger numbers. Furthermore, behind all these freedoms is a free market. Both the media companies and gun manufacturers are profit-making operations, and in the United States, we are loath to limit free enterprise. The question we all should consider is: How long do we want to keep paying this price? Are there some reasonable restrictions on our many freedoms that would allow more of us to live long enough to enjoy them? Without question, the drive to become famous is not an entirely satisfying explanation for the Las Vegas mass shooting. Most people who had the killer’s knowledge, resources, and need for attention would not do something this horrible. Although some parts of the explanation for this event may remain opaque to us, we should not blind ourselves to factors that are both under our control and likely to save lives. There are things we can do.